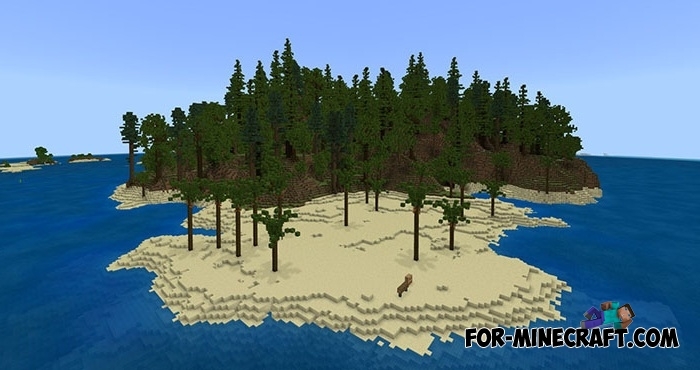 Custom territories are gaining increasing popularity among other maps for Minecraft PE. This time you can visit and settle on a small sandy island located in the middle of the ocean. It is tiny compared to the mainland and places a small mountain where one can dig a mine or build a house inside, and also there are growing trees. It is difficult to call it a forest because there are not many trees but you will have enough wood to craft everything you need including tools, furniture or a wooden mansion.